Tosca at the Ritz-Carlton hosts one of the most exciting guest chef experiences this month with chef Zaiyu Hasegawa from Tokyo’s Den and Julien Royer from Singapore’s Odette. If those names sound familiar, it’s because Den and Odette occupy the second and fifth spots respectively on the latest Asia’s 50 Best Restaurants list. 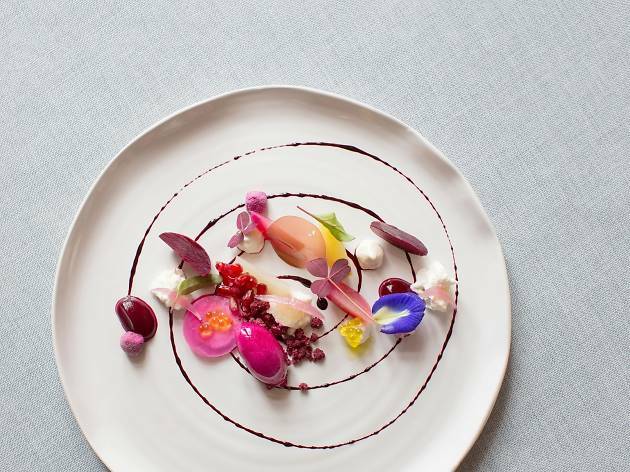 Available for three days only from June 7 to 9, the Den x Odette ten-course degustation dinner menu ($3,888, including wine pairings) showcases Hasegawa’s creative kaiseki cuisine as well as Royer’s modern French cooking. It’s also backed by Caviar House Prunier, so expect ultra-luxe creations such as Hokkaido uni with botan ebi, mussel ‘cloud’ and caviar. 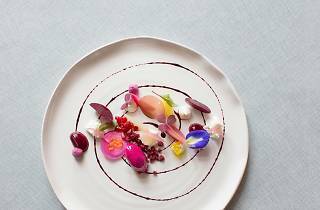 Aside from dinner, guests can also enjoy the six-course degustation lunch by Den on June 8 and by Odette on June 9 (both $1,688, including wine pairings).